A user named Pershoot has made a modified kernel that offers significant enhancements over the stock kernel. What are those advantages? Well, the tab is overclocked to 1.4GHz for better user experience. However, on top of all, you will be able to use Joystick (Xbox, PS3), mouse and browse NTFS file systems on flash drives. You will also be able to do USB charging. 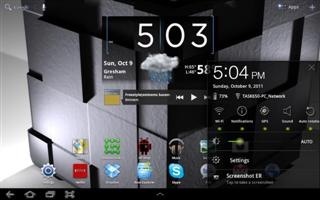 One of the best ROM that use Pershoot’s kernel and we recommend is the Task650’s “In Paris V5” ROM. This ROM not only comes with the Pershoot’s latest kernel but is pre-rooted, and super optimized for speed and battery life.